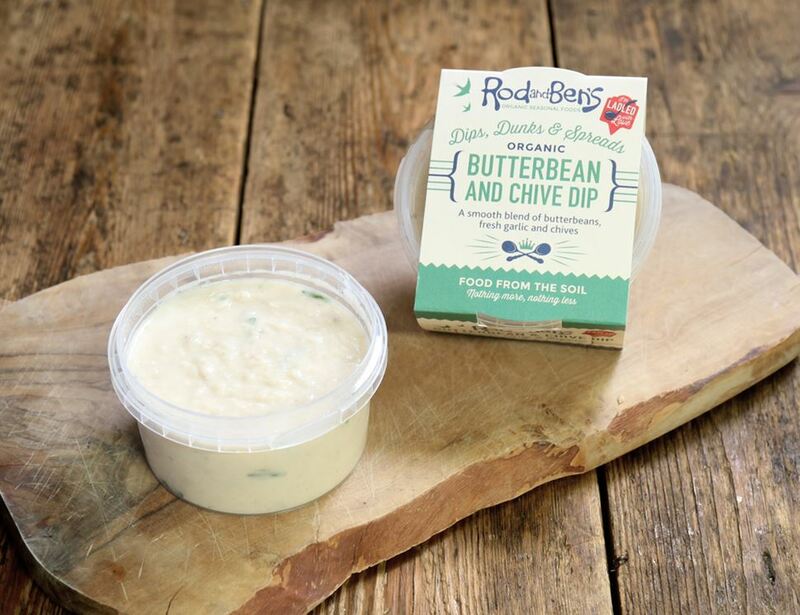 A smooth blend of butterbeans, fresh garlic and chives, this classic dip with a twist is great with crunchy veg or warmed on bread. Ben and Rod grow organic veg down in Devon. As they spend much of their time knee-deep in fresh, seasonal veg it was inevitable that their minds would eventually turn to soup. As any hardened wellie-wearer knows, it only takes a small step of the imagination for fresh ingredients to become a bottomless bowl of sumptuous seasonal soups. Because they like to keep it local, and by that they mostly share their super veggies with Devonshire folk, we think ourselves lucky to be the few recipients outside of the county to get our hands on the next best thing to their raw veggies: their super-fresh, homemade dips. We hope you like them as much as we do.